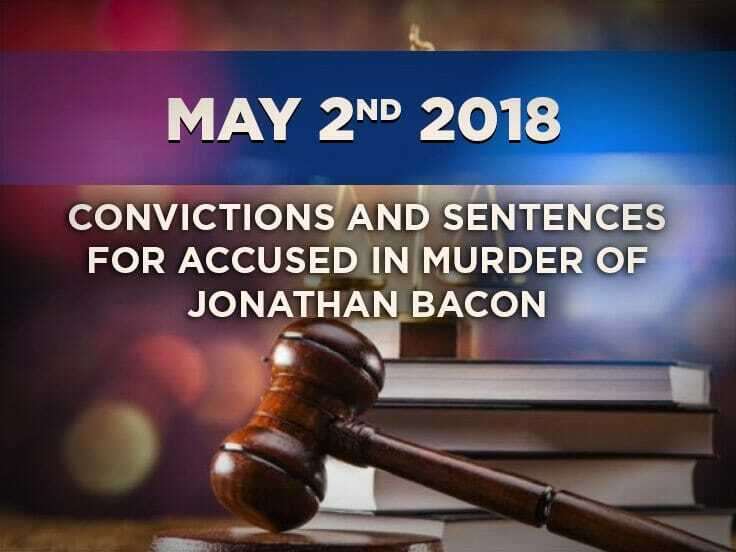 The three accused in the murder of Jonathan Bacon and attempted murder of four others were convicted and sentenced in Kelowna Supreme Court today. On the afternoon of August 14, 2011, Jonathan Bacon along with four associates, Larry Amero, James Riach, Lyndsay Black, and Leah Hadden-Watts were the subjects of a targeted gang-related shooting in downtown Kelowna. The investigation, which was led by the Combined Forces Special Enforcement Unit of British Columbia (CFSEU-BC) and in partnership and supported by numerous other police agencies, came to a conclusion with the arrests of the three accused on Friday, February 22nd, 2013 when multiple warrants were executed in jurisdictions across British Columbia and Ontario. The original media release regarding arrests and charges can be found here. Originally charged with First Degree murder and Attempted Murder were, Jason Thomas McBride, , Michael Kerry Hunter Jones and Jujhar Khun-Khun. On April 19th, 2018 all three had their charges amended by BC Prosecution Services. The new indictment was before the BC Supreme Court in Kelowna on April 20, 2018 for a first appearance and was adjourned to May 1, 2018. Jason Thomas McBride plead guilty to Second degree Murder and Attempt to Commit Murder of four individuals. He was sentenced to life in prison with no parole eligibility for 18 years. He will also serve a concurrent 15 year sentence for the Attempt Murders. He will receive credit for time served in pre- trial custody. Kerry Hunter Jones plead guilty to Conspiracy to Commit Murder and sentenced to 18 years, with credit for time served he will serve a sentence of 10 years. Jujhar Khun-Khun plead guilty to Conspiracy to Commit Murder and sentenced to 18 years, with credit for time served he will serve a sentence of 10 years. The CFSEU-BC would like to acknowledge and thank all of the agencies and individuals who assisted during the course of this investigation. 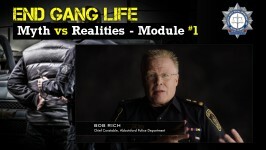 They include, but aren’t limited to, the Kelowna RCMP, numerous BC RCMP Divisional resources, the Surrey RCMP, Sunshine Coast RCMP and Ontario RCMP, the Provincial Intelligence Centre (PIC), Toronto Customs and Excise, Public Prosecution Service Canada, BC Prosecution Service – Crown Counsel, CFSEU’s in Toronto, Golden Horseshoe and Edmonton, Vancouver Police Department, Abbotsford Police Department, Victoria Police Department, Integrated Homicide Investigation Team and the Canada Border Services Agency.